Hugging the coastline just across the bay (and accessible by ferry) from Naples is the town of Sorrento. 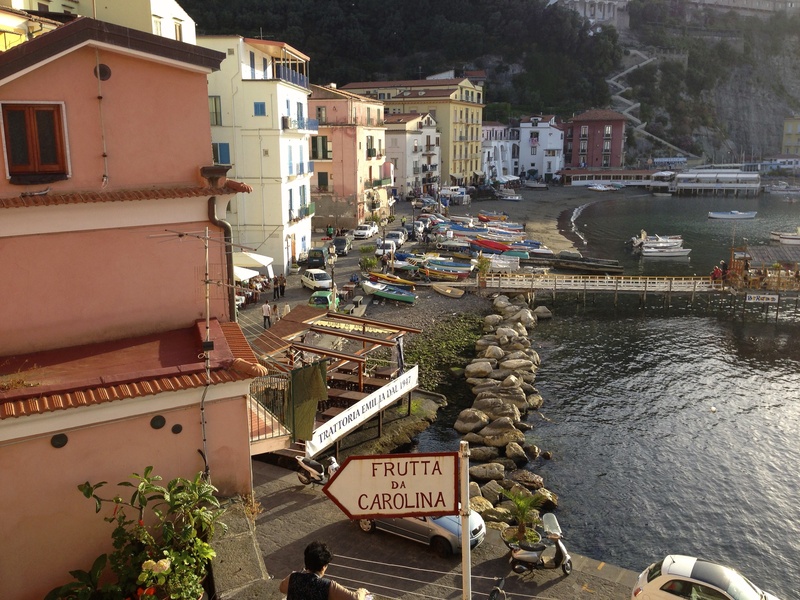 Sorrento is many-a-person’s touristy dream destination, and in real life it does not disappoint. While you are in Sorrento, be sure and tour the Duomo (Cathedral), visit the old town, drink coffee in the Piazza Tasso, take a day trip to the island of Capri, and drive along the coast to Amalfi. You can’t miss any of it. Another thing you can’t miss in Sorrento is lemons. You can eat and drink lemons—as in lemon cake, spaghetti al limon, lemon gelato, and bruschetta rubbed with lemon, all washed down with limoncello (or lemonade for the kids). Italians will have a lemon slice dipped in sugar (peel and all) for a snack. Next, you can take a stroll through the lemon trees, planted in terraced groves, thriving in the tufo and limestone soil and abundant sunshine—as they have for centuries. 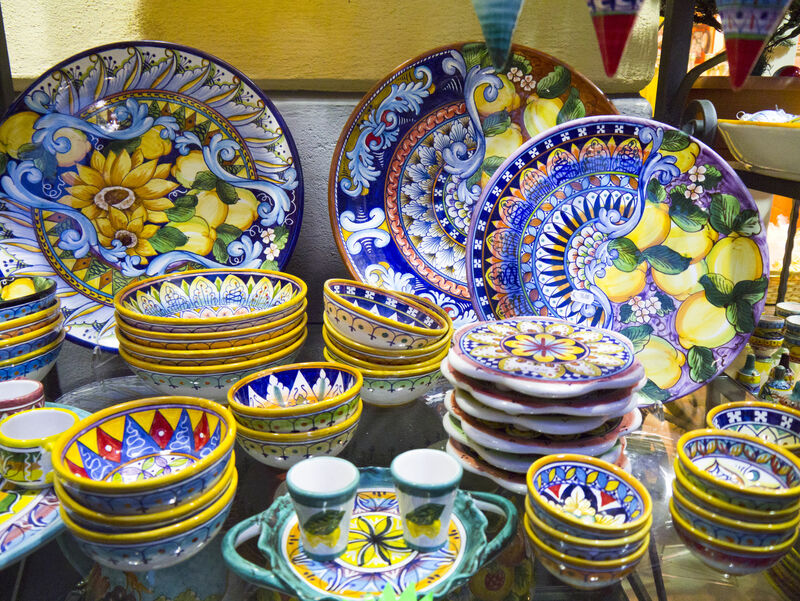 And while shopping for souvenirs, stroll into a ceramics studio and find a big bowl or a pitcher decorated with pictures of lemons. You’ll want to remember these lemons for a long time. They are grown in a geographically-delineated area of the Sorrento Peninsula that includes the districts of Massa Lubrense, Meta, Piano di Sorrento, Sant’Agnello, Sorrento, Vico Equense, and Capri. They must be elliptical in shape with medium-large dimensions (weight not less than 85 grams [3 ounces]). They must have a medium-thick peel and a citrine (pale-to-golden) yellow color over at least 50% of the surface. They must be rich in essential oils and very fragrant, “very juicy” and with straw-colored yellow pulp. The juice, characterized by an elevated acidity, must be rich in vitamin C and mineral salts. To an American eye Limone di Sorrento might look kind of pale and funky…but these lemons are not chemically treated, colored, or dipped in wax. They are the real deal, they look natural, and they are a much sweeter lemon than those that most Americans are used to. While it’s a bit of a stretch, many people note that Limone di Sorrento are more like Meyer Lemons than the “supermarket” lemons (known as Eureka Lemons or Lisbon Lemons) that we get in the US. And then there is the local limoncello. 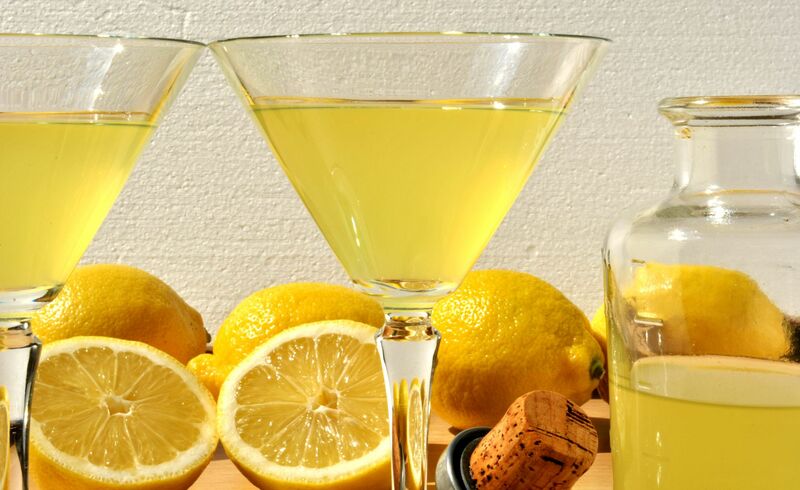 As a tourist in Italy, you are certain to remember the first time you had limoncello. Perhaps it was at an aperitivo (the Italian version of “happy hour” to stretch the definition a bit) or after a meal at a restaurant. Wherever or whenever it was, I am sure you will remember it. It must contain a minimum of 30% alcohol by volume. It must be produced from a base of neutral spirits via by maceration with the peels of Limone di Sorrento IGP for a minimum of 48 hours. It should be between 20% and 35% sugar by volume. It must be produced within the Limone di Sorrento IGP cultivation zone. It must contain a minimum of 250 g (by weight) of Limone di Sorrento PGI fruit or juice per liter of liquor. No other colorings or flavorings (other than Sorrento Lemons) are allowed (but ascorbic acid may be added as a stabilizer). It must be citrine yellow in color, and may be clear or opalescent. 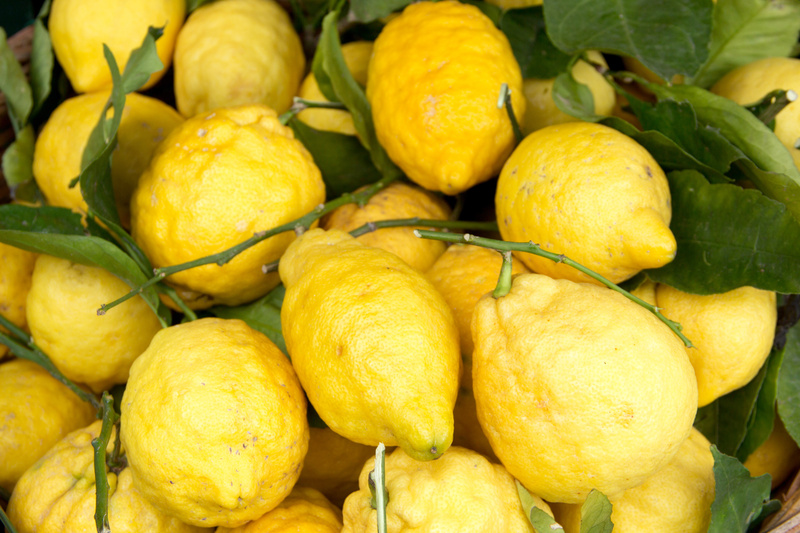 The aroma and flavor must be characteristic of the Limone di Sorrento IGP. All of that is a bit heavy on the “technical” but doesn’t it still sound delicious? I’m thinking tonight is a good night for Pollo al Limone (as true Limone di Sorrento are hard to find outside of Italy, I’ll settle for using the recipe provided by the consorzio but substitute Meyer lemons [don’t hate me]) followed by some lemon cookies dipped in Liquore di Limone di Sorrento. Luckily, a true Liquore di Limone di Sorrento IGP can—these days—be found in good old Austin, Texas.